The HRECC would like to congratulate and commend “D Shift” personnel for their work last night in proactive dispatching and investigation for an Amber Alert from Smith County. The HRECC received a “be on the lookout” message for an abducted child from Smith County. As the night progressed the Virginia State Police received information on a possible destination of the suspect. Supervisor Chad Siever prepared his shift for the possibility that the suspect could be traveling through the I-81 corridor. As the night progressed information was received that the suspect was close to Harrisonburg and Rockingham County and the shift of Communicators working were proactive in alerting all local law enforcement and in utilizing investigative dispatching techniques that ultimately provided the exact location of the suspect to law enforcement. The Bridgewater Police Department located the suspect’s vehicle in the area provided by the ECC and the subject was taken into custody without incident. The child was located unharmed! This is a great example of how the HRECC works collectively with all members of local and statewide emergency services personnel to provide the highest level of service to our citizens and to do all they can to keep our community….and those passing through, safe. to the HRECC’s “D” shift personnel. The Harrisonburg-Rockingham Emergency Communications Center (HRECC) not only dispatches emergency calls, they recently successfully managed an emergency of their own. On Friday, May 19 at around 3:00 p.m. part-time Senior Communicator Xan Steven was on-duty in the ECC when she began to choke. She was seated beside Senior Communicator Fawn Ammons, who at the time was on an ECC business phone line with a caller. When Communicator Stevens realized she was in trouble and her airway was completely blocked, she tapped Communicator Ammons on the shoulder in an effort to get her attention. Ammons, as a professional, went on with her phone call and didn’t acknowledge the initial attempt to gain her attention. Moments later Stevens was able to get the attention of Ammons, who turned around quickly to realize what was happening. Without hesitation Communicator Ammons placed her non-emergency phone call on hold and came to Xan’s aid by performing the Heimlich maneuver. After just one thrust the blockage dislodged and Stevens began breathing. 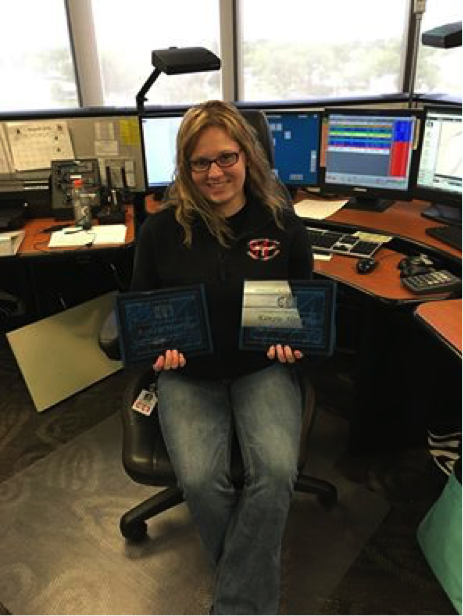 Communicator Ammons immediately went back to her phone call and completed her service to the caller while other employees of the ECC continued to offer aid to Stevens. “Fawn did such an incredible job and did not hesitate once,” said Stevens. “We have such a great team of compassionate and dedicated people,” she added. “People will never know what goes on behind the scenes but usually it isn’t saving the co-worker seated beside you,” Stevens said. Our thanks and gratitude is extended to Senior Communicator Fawn Ammons for her quick action in aiding her coworker. HRECC employees are trained in emergency medical dispatching which certifies them to be able to provide pre-arrival medical instructions over the phone prior to responders arriving on the scene. “While ECC employees have assisted in saving many citizens through the use of these instructions, this is the first time we have experienced a situation that required hands-on, life-saving help for an employee,” said Dee Dee Sencindiver, Operations Manager. Fawn’s ECC training, along with her own EMS training and certifications were truly used to save a life on Friday. Please join the staff of the HRECC in congratulating Part-time Senior Communicator Xan Stevens for her actions of February 24, 2016. Xan’s quick thinking and compassionate nature aided her in offering pre-arrival medical instructions for a 2 year old child that had experienced a seizure and stopped breathing. Xan talked the caller through CPR instructions, and prior to responders arriving on the scene, the child could be heard making noises in the background and was again breathing on its own. 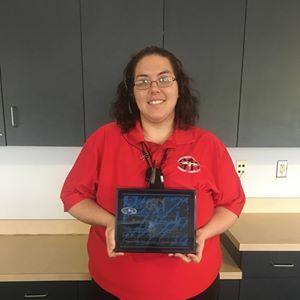 “Having an employee like Xan, who is able to remain calm in these situations is priceless for the ECC and the community,” said Dee Dee Sencindiver, Operations Manager. 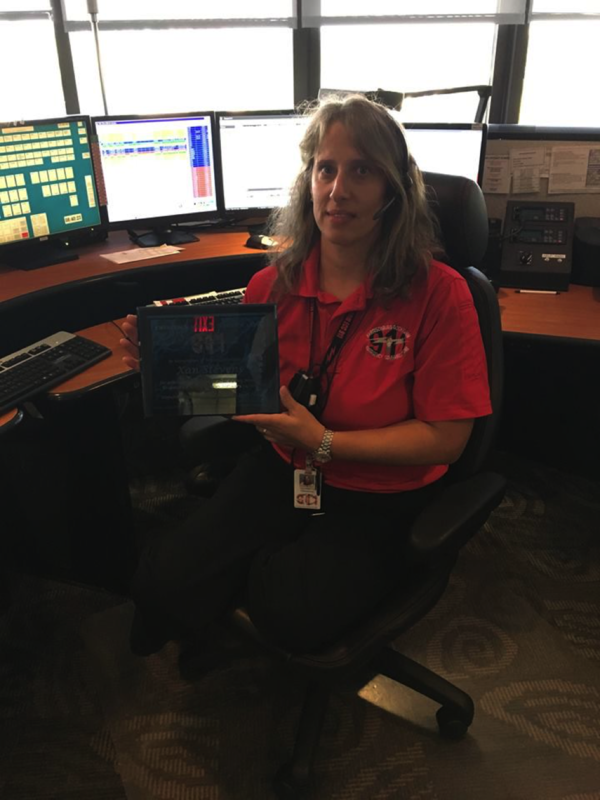 Stevens is one of the most veteran employees of the HRECC having started her career in emergency communications in December of 1994. “Her value to this workplace is unmatched” added Sencindiver. Congratulations to Xan on having a direct impact in saving a life!